The most common reason is the use of awnings to protect against harsh weather. Making place sheltered from rain and snow. 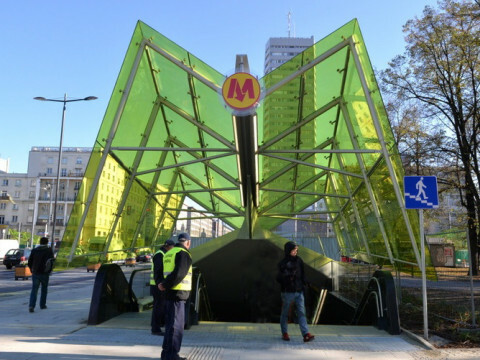 The variable component of sheds, gazebos, parking for cars and so on. 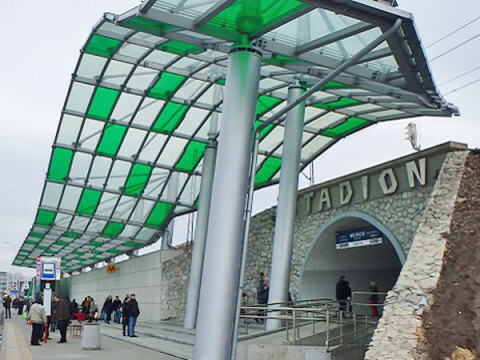 We prove new and attractive solutions awnings without visible supporting structure. 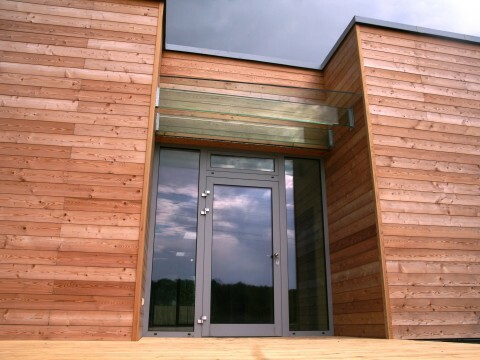 What is the minimum slope of the glass awnings? Recommended minimum slope of glass awnings is 8 degrees. 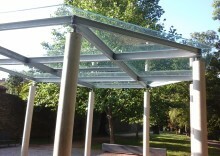 In this tendency it operates self-cleaning glass effect when rain or rinsing targeted stream of water washed away dirt. I do not have to worry that the glass fell on my children? You do not need! 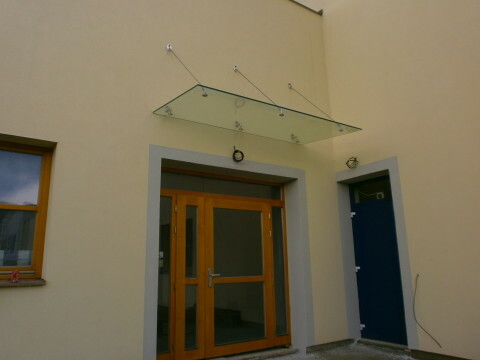 Glass awnings with glass beams are carefully designing a statically tested so that their structure and composition comply with all safety standards. 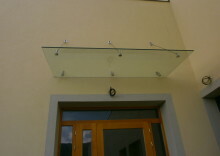 What is the life of glass awnings? Glass has one unpleasant property. If you let it become dirty rainwater, which are minerals and chemicals, so you get old - blind (chemical corrosion). Therefore, it is important to properly clean the glass, then it will take as long as it survived at centuries-old palaces and castles. If I could recommend to all, maintain a minimum slope skylight in the counsel of OGB. We wanted a small glass, and now we hold dirt on the glass. They know what they're saying! At first glance everything seemed difficult, but when you see working people who control their work, so it's a concert. I was satisfied with your work and access. Kombinace skla, dřeva a oceli na naší markýze znamená pravidelnou úvodní diskuzi každé naší návštěvy. Nejen že nás markýza chrání před deštěm, ale zaujme každou návštěvu. Děkuji, splnili jste naše očekávání! Since its foundation OGB Company Ltd. is guided by the idea to manufacture, sell and provide quality products and services. 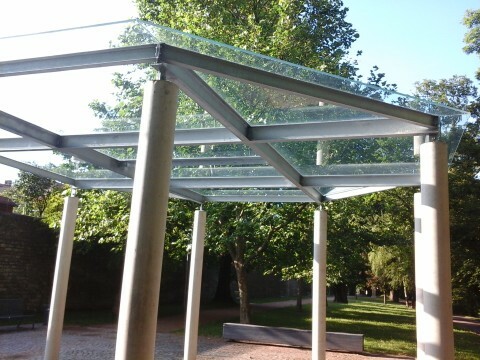 Thanks to our own production capacities for glass processing, we can offer flexibility and high quality in the manufacture of standard and special products according to customer requirements. Our company is a reliable partner for a wide range of companies across the European market.